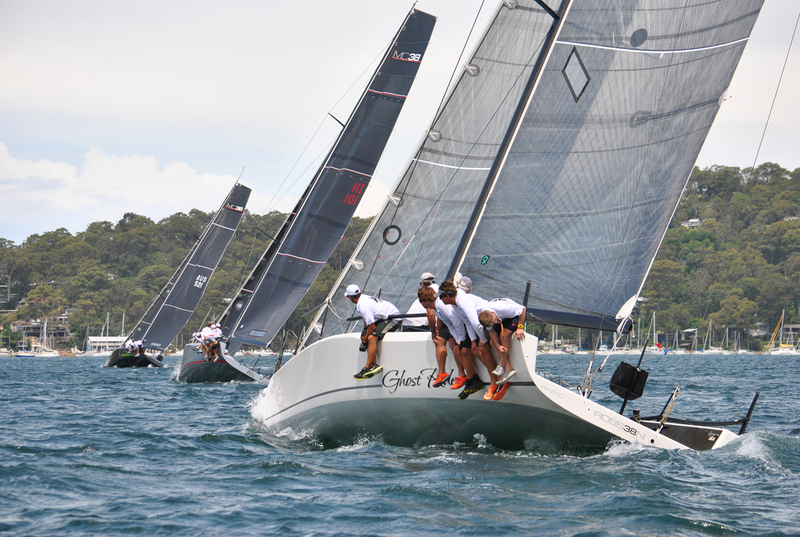 Pittwater was overrun on Saturday as the MC38 Spring Pittwater Regatta race track to the north of Scotland Island vied with classic Couta boats, Etchells, and a fleet of keelboats contesting a Royal Prince Alfred Yacht Club inshore race. 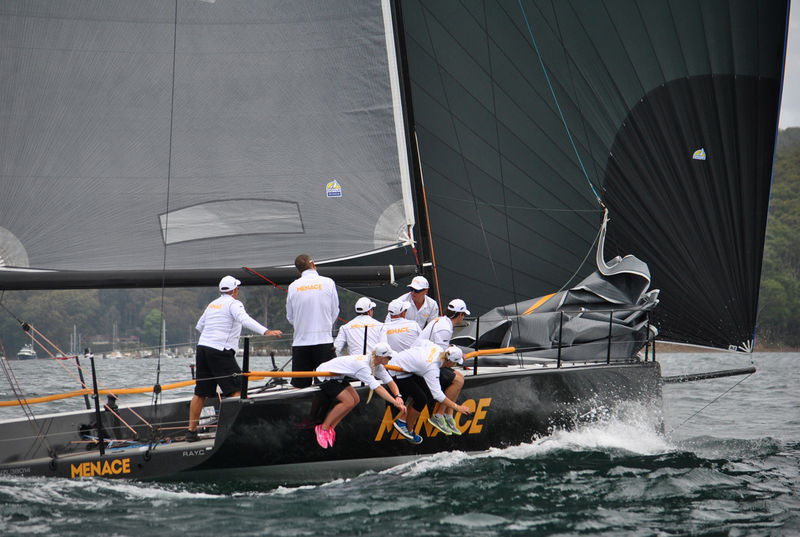 One inshore race skipper who had to clear a path through the amped-up one design fleet in order to make a mark of his course later described the MC38s whizzing past as “like hornets buzzing around”. Sharing the compressed area of water made it an exciting debut for first time MC38 helmsman Anthony Bell on Kokomo and just added another layer of enjoyment to the boat of the day, Howard Spencer’s Menace sailing for New Zealand and in first place tonight by six points to Marcus Blackmore’s Hooligan. Back at the RPAYC Davies publicly thanked his ETNZ teammate Adam Beashel, who coached the Menace crew on the waterway’s vagaries. “Adam was our coach the last time we were at Pittwater. He really helped us out with some local knowledge; I have to thank him for that,” Davis said. As Hooligan’s tactician, Beashel finished second on the progressive pointscore to Davies. “About this time last year I gave Ray a lot of knowledge on this place. Now I’m regretting it,” Beashel said. 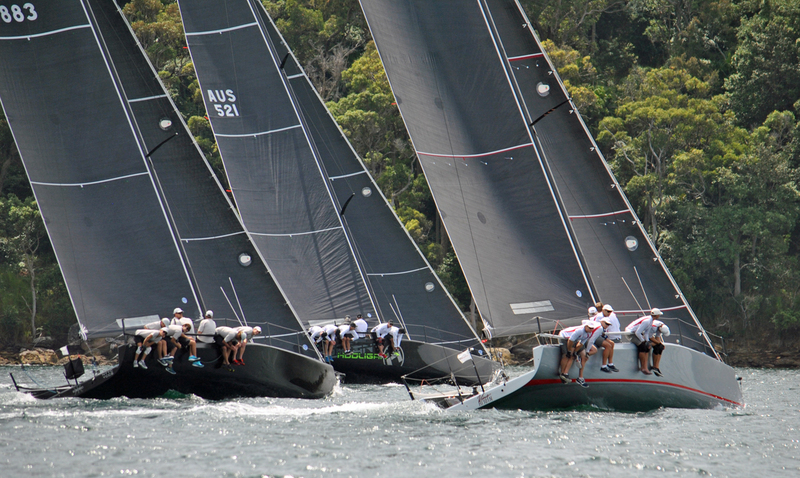 Hooligan (RPAYC) opened poorly with a sixth in race one then did an about-face in the next three to finish the day second to Menace and ahead of the last regatta winner, John Bacon’s Dark Star (RPAYC) in third. “We definitely improved each race. Our aim is to consolidate from the last regatta, there’s still lots to be learnt. They are a great class. I’m trying to get the fleet up to Lake Macquarie where I live these days. They are well suited to lake sailing and a more open race track, where you can really send them,” Beashel added. Three windward/leewards and one passage race in puffy north easterly sea breezes 10-15 knots kept the eight boat fleet hard at it. Ross Hennessy’s Ghost Rider sized up with Menace in the opening two rounds before their early momentum petered out. Ginger struggled with a mast track problem, Leslie Green and his crew claiming points in only half of today’s races to be last on the grid. Tonight they set up a temporary repair that is good enough to get them back out racing tomorrow. 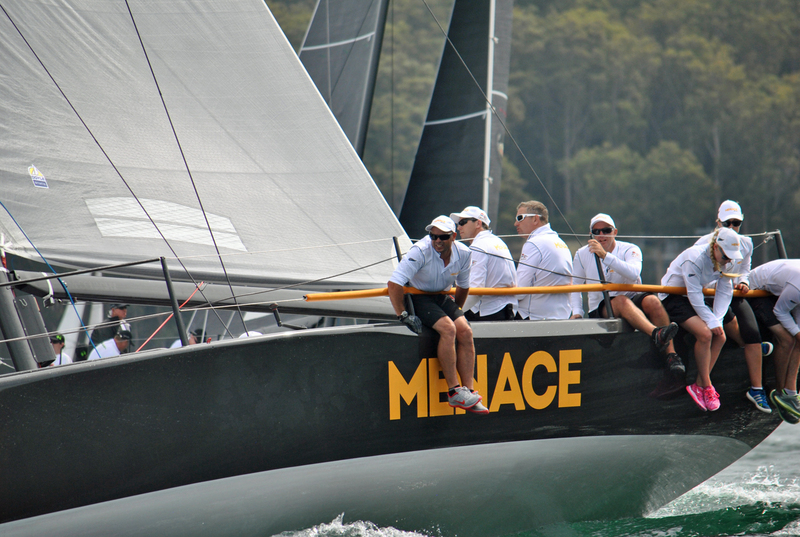 Menace’s acceleration on the upwind work is without doubt a mark of difference. Of course so is having one of the world’s most talented tacticians onboard. A new set of Doyle sails is doing the trick for the tightly knit Kiwi crew who like to poke fun at each other, but any cashed up owner can shout themselves a new sail wardrobe. The forecast for day two is a repeat of today, Saturday February 14, 2015, 10-15 knots out of the north east for the three remaining races to constitute a full series. Racing commences at midday. 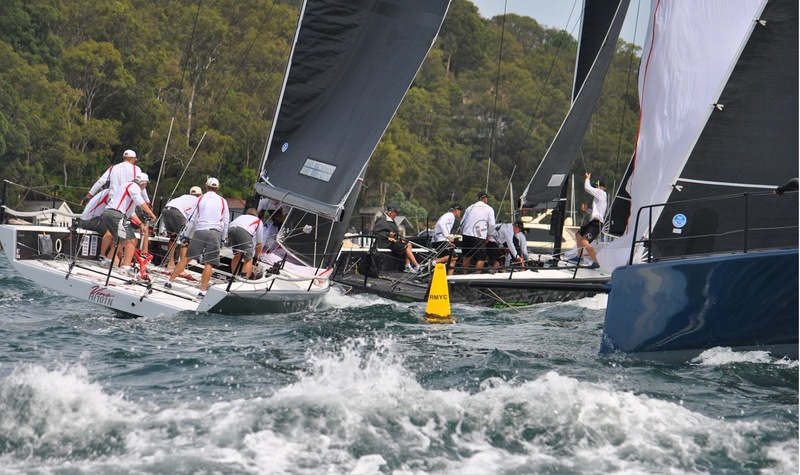 The Pittwater regatta is the start of a new five-part circuit for the MC38s called the 2015 Australian Season Championship. At its conclusion a half model donated by McConaghy Boats that is mounted on a plaque and painted in white with a single black stripe will be presented to the winner as a giveaway, the idea being that the hull is painted to match the winning boat’s livery.